Capturing the soul of every emotion, Weddings by Knotty Days envelopes precious moments of Vinnie and Dhruv into a mesmerizing wedding film! Dhruv and Vinnie started a journey with no map, no destination, just a special friend. Lost in each other they didn’t even realize how a story which started in anger and frustration, grew into a relationship cherished for life! 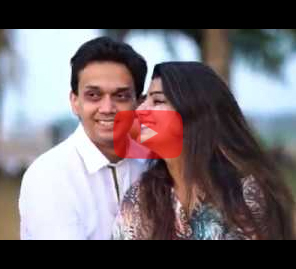 Flawlessly captured by WeddingSutra Favorite, Weddings by Knotty Days, Dhruv and Vinnie’s wedding film highlights not just moments, but emotions that make those moments eternal. All set to mesmerize the viewer, the film takes us on a ride of elegance and excitement. Whether it is scenic panoramas of Jaypee Residency Manor in Mussoorie or close ups of the intricate bridal jewellery, the film is about all beauty, big and small. And there, within the glitter and glamor are the smiles and laughter. Over the course of montages the viewer gets to explore the deep joy and fun involved in the celebrations. 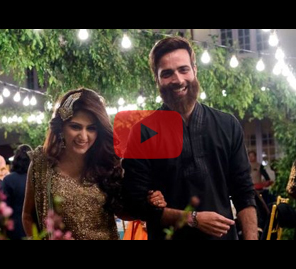 The couple’s love is easily felt as the bride expresses their relationship as a ‘Best Friend Bond’, a bond that takes you on a voyage of happiness! Candid moments are what make a wedding a celebration and the moment that tops it all when the couple sees each other on their big day, electrifying the atmosphere. This fleeting emotional moment was cleverly packaged into an eternal memory by the team of Weddings by Knotty Days. 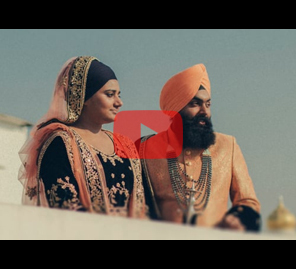 The editing and quirky tracks help express the excitement and happiness in the air throughout the wedding.